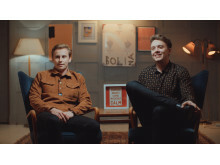 Broadcaster and presenter Roman Kemp is the latest star to feature in the Best Man Project, an initiative from the Campaign Against Living Miserably (CALM) – a charity dedicated to preventing male suicide. CALM works to prevent male suicide, the single biggest killer of men under 45 in the UK, by providing support services and campaigning to change attitudes that prevent men seeking help. Research shows men’s social connections can wane over time and social isolation is a growing problem, especially for men over 30 , while men are much less likely than women to feel comfortable when a man they know opens up to them . 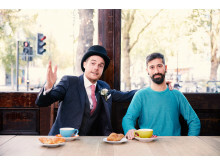 However, friendships and peer groups can be instrumental in supporting men’s mental health and wellbeing, and these social connections can provide a lifeline for those in crisis. 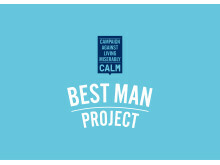 To celebrate this, CALM launched the Best Man Project in November 2017. An honour many men experience, being a best man is often a shining example of what it means to be a great mate. Through the Best Man Project, CALM is asking: why save it for a wedding? 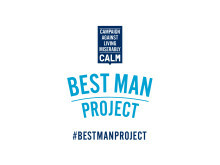 The Best Man Project has been designed as a helping hand for men who want to feel confident and comfortable being there for mates in good times and bad. 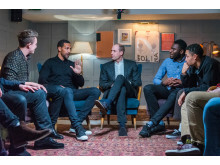 Further Best Man Project films are now live, while future films featuring the likes of Rio Ferdinand and Loyle Carner will be released over the coming weeks. Follow #BestManProject on social media and sign up at http://bit.ly/BestManProject to receive tips and advice on being a better mate every day, straight to your inbox. 46% of male respondents said they felt comfortable when a man they knew opened up to them, compared to 57% of female respondents (YouGov 2017).